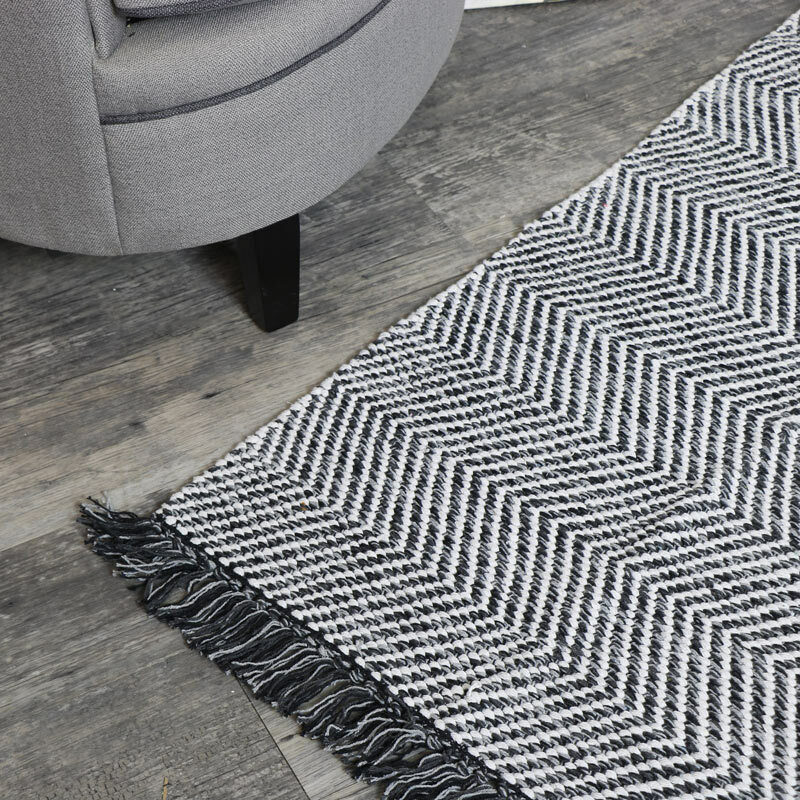 Beautiful black & white hand woven floor rug with classic Herringbone weave. A stylish addition to any home decor and perfect for creating a warm & cosy feel to your living room, hallway or bedroom. In a great of 140cm x 70cm size with more sizes available. Offering a versatile and fresh look to any interior with its monochrome and minimalist design. 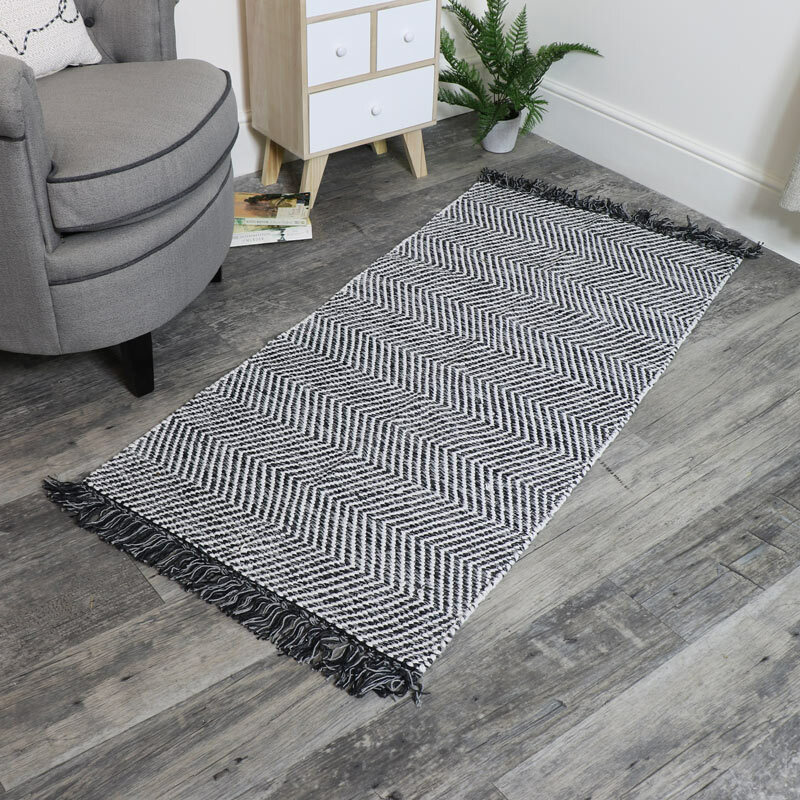 With a fantastic choice of rugs, you can accessorise to suit your own style.